I apologize, because I am posting this a bit late on the website. I was under a deadline getting edits to my editor, and I’ve been in hiding for the last four days! But my manuscript has been successfully emailed, and I am now free..for a few days at least! So, here are the deets about my latest GIVEAWAY, in celebration of my Facebook page reaching 800 LIKES! Wow, that’s just crazy. I started that page on April 30th, with three fans – my mom, my BFF and myself. And here we are, still over a month from the release date closing in on a thousand LIKES! 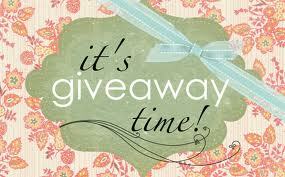 So, as a way of saying THANK YOU, I am giving away AMAZON GIFT CARDS! One of my good friends, and fellow author Jacinda Buchmann has pitched in, so we are able to give $25 to one lucky winner! The deadline is this Saturday so don’t miss out!! J.L. Berg’s 800 LIKES GIVEAWAY! Let me first say that this note has nothing to do with my book release, book reviews or any books in general. However, it is probably the most important thing I’ll ever write. A few weeks ago, I noticed a few large lymph nodes in several areas on my body, and decided to go to the doctor. I won’t go into the entire story, but after a series of doctors visits, I ended up at a hematologist. She examined my lymph nodes, ordered a CT, and happened to ask me if I did self-breast exams. My answer was yes, because I honestly believed going to the GYN once a year was enough at 32. They don’t even suggest mammograms until 40 right? Right. Yesterday, I received my test results. They’d found several large lymph nodes, and a lump…in my breast. Wait, what? This kind of thing just doesn’t happen to woman my age, I tried telling myself, as I sobbed in my husbands arms. But, much to my surprise, it does. I’m not as invincible as I thought. I’ve heard the GYN’s speech, and seen the pamphlets telling you to do monthly breast exams, and yes…I knew it was important. But I always figured it was only important to women over 40. I thought, because I was young, and in the “rare” category”, I was untouchable. Yesterday was a big wake up call for me. So why am I sharing this with all of you? I’m hoping that when you read this, you’ll do what I didn’t and make a point to include self-breast exam into your monthly routine. I’ve learned that becoming familiar with our bodies is our greatest defense against cancer. I still don’t have a diagnosis. I could have some sort of lymphoma, or I could have breast cancer. I could also be one of the many who has nothing wrong at all, and my life will return to normal in a few weeks. But you better be damn sure I will be becoming very familiar with my tatas in the future. So do me a favor. Share this with your sister, and your mothers. Share this with your best friends, and your co-workers. Share this with the 30-somethings who think they’re invincible like me. We’re woman, and we need to stick together, and take care of each other…boobies and all. If you need some place to start, check out this great websites where you can learn how to do self-breast exam, learn about early warning signs, and even sign up for monthly reminders! Before I was a writer, I was an avid, devoted (obsessed) reader. Teaser’s are, by far, one of my favorite things to look forward to while waiting patiently (0k, not so patiently) for a book to come out. 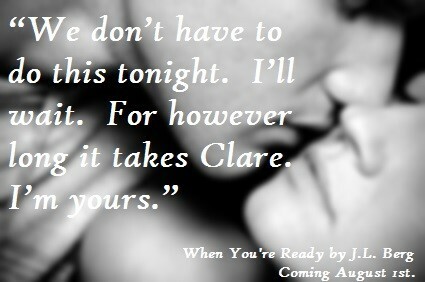 So, knowing there are probably at least a few book crazies out there like me, I try to fill the habit by supplying as many sneak peaks of “When You’re Ready” as I can. So here there are, a few brief teasers. Hope you enjoy! Comments Off on Visual Teasers! !